Khaitan & Co and Mulla & Mulla Cragie Blunt & Caroe, respectively acting on behalf of the Ambani brothers’ Reliance Industries (RIL) and Reliance Natural Resources (RNRL), have served a total of three defamation notices to journalists Paranjoy Guha Thakurta, Subir Ghosh and Jyotirmoy Chaudhari, who on 15 April released their book Gas Wars – Crony Capitalism and the Ambanis. Khaitan & Co Mumbai partners Haigreve Khaitan and Sachin Mandlik are acting for Mukesh Ambani-owned RIL and had sent two defamation notices to the authors, publisher and distributors. Dubbing the 588-page book a “pamphlet”, the first notice by RIL of 16 April asked the authors to stop sale of, recall, stop publicity of and destroy all copies of the book created, sold and publicised, and to tender an unconditional apology to RIL for having publicised, sold and distributed defamatory content about the Reliance family. Mulla & Mulla partner DJ Kakalia is acting for Anil Ambani’s RNRL, which on 22 April sent a similarly worded notice to the authors. 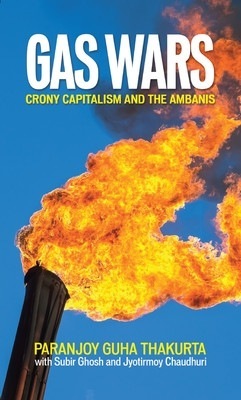 On 23 April RIL through Khaitan sent a second notice to the authors demanding “token damages” of Rs 100 crore to be paid to it within 10 days of receipt of notice, in view of the “libel, slander and defamation suffered by [us] which is irreparable” from the 15 April book launch of Gas Wars. The notice also singled out Thakurta for allegedly making “defamatory and malicious comments by quoting an utterly defamatory and mischievous statement” originally made by former West Bengal governor GK Gandhi on 15 April at a lecture. A Khaitan & Co spokesperson declined to comment due to the ongoing nature of the dispute, while Kakalia was not reachable for comment. Kakalia had also acted for Anil Ambani in 2009, when he was fighting in the Bombay high court over the price of Rs 1,000 crore ($209m) gas supply contract between his and his brother’s company. In 2009 RIL was represented by law firm AS Dayal & Associates, which almost exclusively worked for RIL. Amicus Juris advocate Sumant De is understood to be defending Thakurta, Ghosh and Chaudhari. RIL, through Khaitan, has also served notices on the booksellers Flipkart, Amazon’s local subsidiary and e-book publisher Kobo, as well as the books publishers FEEL Books and Authors Upfront, and Foundation for Media Professionals representative Deepshikha Shankar who had forwarded email invites to the book launch event. The book’s homepage lists Amazon India and Flipkart as sellers of the book, and Amazon international, Kobo, Apple iTunes in the US and Barnesandnoble in the US and UK as sellers of the eBook. At the time of going to press, the book was still apparently available for sale on all these sites, though only two copies were left in stock on Amazon India. RNRL, through Mulla, served the three authors and the book’s printer, Saurabh Printers, based in Noida. Legally India could not confirm the legal advisers to the other respondents at the time of going to press. Separately, RIL has also served a legal notice on financial magazine Moneylife and its managing editors for articles about the book. In a YouTube video interview Thakurta said on 21 April that he had been working on the book for four-and-a-half years out of concern about the allotment of natural resources “belonging to people of this country” lacking transparency. Thakurta said that one of the respondents named in RIL’s notice, Deepshikha Shankar, had forwarded email invites to the book launch to her friend as “a personal favour and for that she has been served a legal notice – I am not just sad, I’m really outraged that this is the way the biggest corporation in this country headed by India’s richest man should be behaving”. The authors, who are all experienced journalists, had also issued statements for the International Publishers’ Association, United Kingdom and the American Association of Publishers. On the first notice by RIL of 16 April, the authors’ stated that “the book ‘GAS WARS’ has been ‘more than fair’ providing version of events, circumstances and controversies based on research made from various public documents, opinion of individuals available in public and media reports”. “1. The book ‘Gas Wars: Crony Capitalism and the Ambanis' has been more than fair to Reliance Natural Resources Limited (RNRL) and ADAG Chairman Shri Anil D. Ambani by quoting and providing their version of events, circumstances and controversies in considerable length and depth. It is understood that a formal response by the respondents’ lawyers to RIL and RNRL is being prepared. The price of gas sold by domestic producers has been doubled with effect from 1 April, though the increase is on hold until the end of the May general elections on orders of the Election Commission of India (EC), reported Mint, explaining that the price increase would have benefited producers including RIL and state-run Oil and Natural Gas Corp (ONGC). The Supreme Court is hearing writ petition 728 of 2013 on the price increase, filed by the NGO Common Cause, of which Thakurta is a governing council member. RIL alleged that the Gas Wars “pamphlet” was based on the “very same issues” which have been raised in that writ, “which needless to mention are false, baseless and imaginary”. Now even a legal notice can get you on LI!!!! Just shows that KCo and Mulla will do anything, irrespective of the merits - just give them some money! as opposed to other firms not doing such work? Try to name a single firm in the world that wouldn't say "how high" if the Ambanis asked them to jump? Kco is not a bad firm if you're ok with sacrificing some quality. Normally most of he other lower rated firms out there are terrible and the work output is a joke, but KCO is a little better. I generally advise clients who don't mind some poor drafting and high stuff law to go to KCO. In this case, Im sure the plaintiffs didnt care too much about the presentation, articulation and drafting of the notice so [...] was a safe bet. Do tell us why you thought it was "poor drafting and high stuff law"? Also tell us what is "high stuff law". Quality is always the paramount requirement of a legal notice. This basically shows that the brand name is important for some clients not the quality!! This isnt some Time Cover Page. The book was in news. The contents were public. Highly insinuating. Elections are on. Tempers are high. I myself was wondering if the companies are taking any legal recourse. So im glad to read it here. Also, I havent come across the same thing elsewhere. But one question to LI. Whats your source for these notices? Do you need/have permission to make them public? Would welcome thoughts on that point. Just my view, Kian, and without getting into the provisions of law, these notices are not available in the public domain. True, copyright law will allow you to reproduce fair portions on the same as a part of your journalistic report, but I do entertain my doubts as to whether reproduction of the entire notice is allowable in copyright law. Reproduction of judgements and order of a Court is allowable, being public domain documents. The factum of the notice being issued is public domain and uncopyrightable; the content may not be. It is the work of the draftsperson, subject to whatever contract he may have with his retaining client / solicitor. Again, I must admit I have not looked into the law. And I certainly have not done a good job of explaining myself, I assume. But I do feel that your reproducing the content without the leave of the firms, or at least the recipient's, may not be condonable in copyright law. I am subject to correction by anyone better aware. Do not think copyright law would come in way of publication of the legal notices in any newspaper or a news based website. Confidentiality and privacy may be material issues. However, I am sure that there would be no breach of confidentiality/lawyer-cl ient relationship if the copies of the notices posted on the website/reproduced in print media is procured from any of the noticees. In any case, in my humble opinion if the press is reporting about the incident, which obviously is a matter of public interest, it would only be bonafide to publish a copy of the legal notice to enable the audience to have clear view of the allegations/counter allegations. This would do away with any accusation of mis-reporting and also enable the audience to form a clear opinion on the issue. I'd beg to differ. I'll obviate a long explanation and answer this by posing to myself a question: would it be bona fide to publish an entire book such as, let's say The Accidental Prime Minister while I write a review? The answer, to me, is no. I'll take it one step further: could newspapers have published the whole of Lady Chatterley's Lover while publishing news about its controversy? The answer, to me, is again a no. Thirdly and lastly: can I announce a book by publishing the entire contents? The answer, to me, is a no, yet again. Copyright may not become an issue because the law firm or Advocate revels in the attention the newsreport begets, or is just unwilling to initiate an action. However, IMHO, LI's reproducing the entire notice sans leave from the Advocate / client would likely be a violation of copyright laws. Common sense da ! A book has an inherent economic value and therefore divulging the full extent of its contents amounts to a violation. On the contrary a legal notice has only purposive use, no economic value. What copyright seems to protect using someone else's work for personal gain or profit, or passing it off as your own. In this case, I don't think LI is trying to take ownership of the work product. There is complete acknowledgement that the notices have been prepared by KCO/MM. If such use were copyright violation, annexing letters in a book (which happens all the time. Sure there must be a few in the book/pamplet itself) may become infringement. Personally, (and I'm not an IP lawyer, but whatever I remember from law school (which may not me much)), I dont think copyright is not the problem here. However, what seems to be a problem is the bringing into public such information which is not pubic; addressed to and intended to be read only by the recipient (before it goes to court, when it obviously becomes a pub doc). So to the extent, one has not be permitted to be in possession of it lawfully, it would seem to be a stretch to be able to use the letter and reproduce it here. There is complete acknowledgement that the notices have been prepared by KCO/MM. An acknowledgement can only go so far. No, I'd say LI would need leave from either the recipient or the firm / advocate who prepared this. I subscribe to this too, on a moral level. Legally speaking, in India, no right exists outside copyright law, protecting works. [See order dated 30 August 2013 of the Delhi High Court in FAO(OS) 153/2013 lobis.nic.in/dhc/SRB/judgement/02-09-2013/SRB30082013FAOOS1532013.pdf Kindly note that this judgement is presently stayed by the Supreme Court in the appeal filed by the parties]. So, essentially, unless Parliament makes new laws, the issue would have to be founded on Copyright law. I'd have to beg to differ again. Copyright inheres in works as opposed to facts. The notice being issued is a fact, the notice per se is work. To put it simply, I ask my self this question: can I reproduce all the forms and precedents in Mogha's Law of Pleadings because the forms and precedents per se have no economic value and only purposive use? The answer, to my mind, is no. A notice is as much a work as any other book, regardless of their economic functions. I cant see what is low quality about the legal notice. The only thing is that there is no specific counter to each of the allegations made. But this is dependent on whether the client provides the relevant details or not. As regards publishing the legal notice, there is no copyright issue involved and if one of the recipients handed it over the LegallyIndia on the understanding that you could publish it, then it is absolutely fine. there is no copyright issue involved and if one of the recipients handed it over the LegallyIndia on the understanding that you could publish it, then it is absolutely fine. The second part of the sentence itself contradicts the first; it begs the question why bring up the issue of recipients handing it over to LI and having an understanding that it may be published if no issue of copyright is involved. As for whether the recipient could have allowed the publication of the notice, while I admit I had initially thought it is possible, I now am of the view that it is not so. To substantiate this, I only put to myself this question: can a director to whom a screenplay is given publish it because he was the recipient of the screenplay? The answer to me, is no. Rights in a work tend to be reserved, and it will not be prudent to assume otherwise without sound reason or sufficient material to indicate otherwise. Wait a second. Kaithan & Co sent a legal notice to a person on a letterhead that has a stamp saying "Celebrating a Century". I cannot see how this does not violate the Bar Council Code of Legal Ethics. They are not only marketing themselves (by saying they are over a 100 years old) but they are marketing themselves to the other party. This seems like misconduct worthy of disciplinary action! Can someone please guide us on this point? If an Advocate issues a notice, he acts on the instruction of his Client. The copyright to that notice belongs to the Client and not the advocate. Unlike say an agreement or any other precedent. The legal notice is a peculiar thing. Further, one thing we need to realise, a notice is a formal demand. The demand is a restatement of facts. A legal notice merely restates fact. There is no value addition done in the process of drafting. No legal arguments advanced. The Client tells you what the facts are, you write them on a piece of paper, sign it, and post it. You are not the author of the work, your Client is. (That is why, if you defame someone in a notice, you cannot be hauled to court, but your Client might be). A legal notice is fiction. There is no legal definition of what it is. It is merely at best a letter and the issuing advocate is in the same position as a scribe who transcribes the notice. Your advise is distinct from the copyrighted work itself, as it is given to the Client and it is the Client who then instructs on the basis of that advise. Anyway you look at it the copyright belongs to the client. Now to sum up my further submission, there can be no copy right on a legal notice as facts cannot be copyrighted. Kian is well within his rights to post it online.